Via AJ Ellis: "First time in this environment, first time pitching in Coors Field, first time pitching against the offensive firepower they have over there. 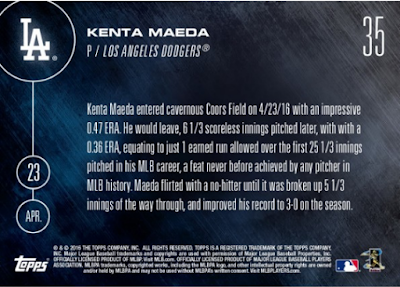 Can't say enough of what Kenta was able to do tonight. Beyond impressive." 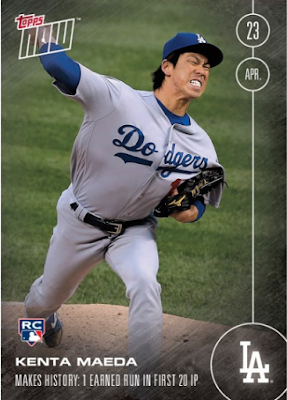 "Everybody's natural inclination was maybe a slight regression because of the factors of pitching here and his reliance on spin," said Ellis. "But he was able to combat that. He used more changeups, which are easier to command in this environment. The guy knows how to pitch, knows how to win, he understands himself out there which is really great." 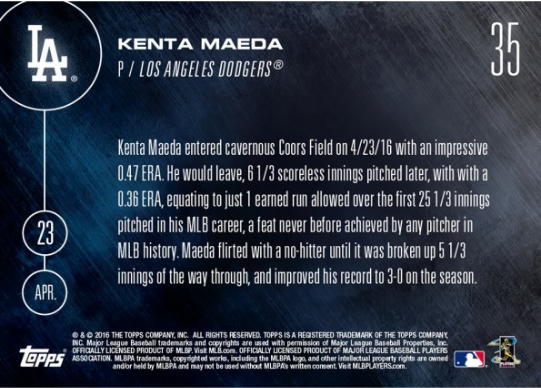 At this rate we will no doubt be seeing more Maeda Topps Now cards in the future. UPDATE: Print run sold was 784 copies.